The Landsby, a newly renovated 41-room boutique hotel, will bring a unique hospitality offering when the doors open in spring 2015. 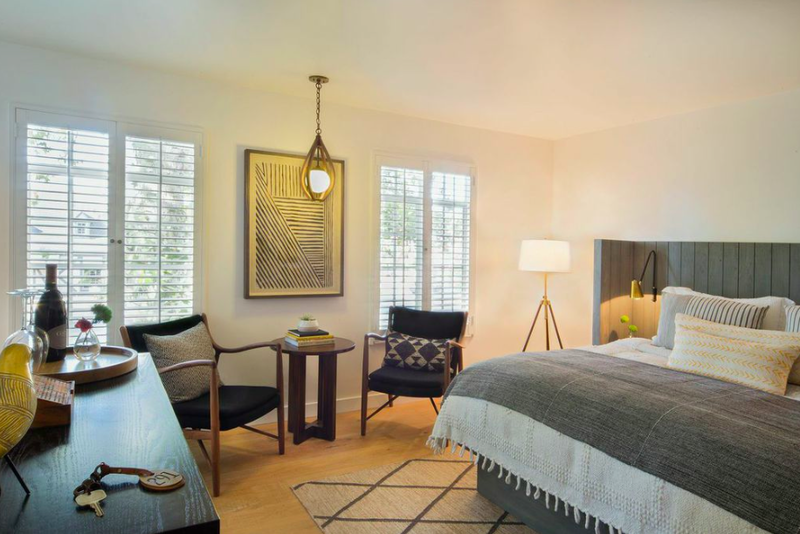 Located in downtown Solvang, a small town in the heart of the Santa Ynez Valley, the property will combine a bright, contemporary design with Scandinavian elements inspired by the town’s Danish roots. 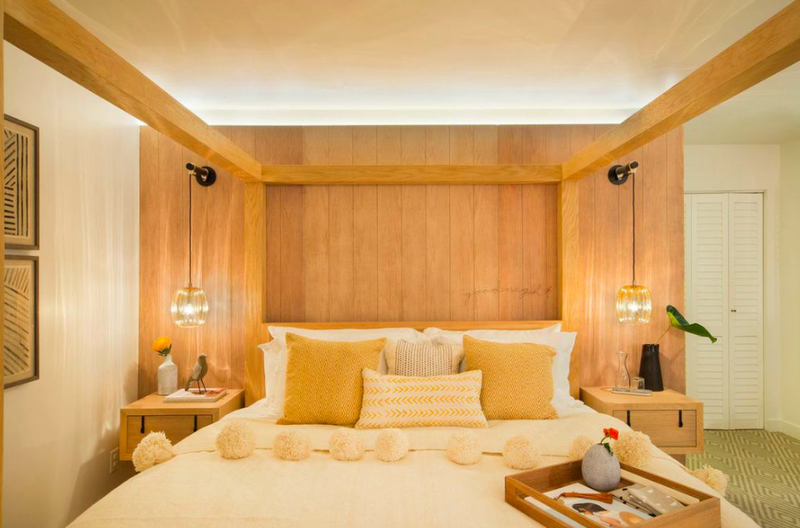 The bright and welcoming guestrooms, including several junior suites and the signature tower suite, will be finished with blonde woods, brushed brass fixtures, genuine leather accents and sophisticated, yet comfortable, handcrafted furnishings. 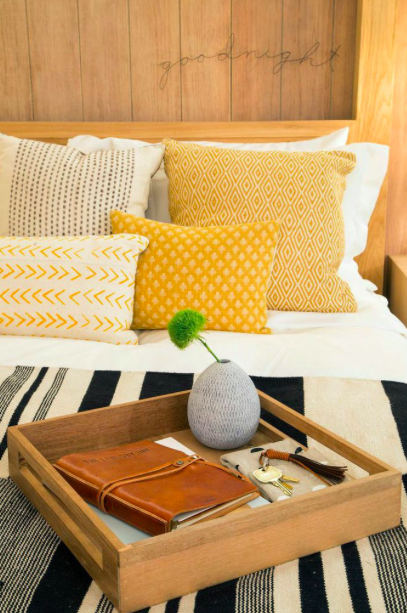 The rooms will feature whimsical artwork commissioned by a regional artist and thoughtful accessories, which work together to create a residential ambiance. Standard room rates start at $225 and suites start at $329. · All guests receive daily continental breakfast, complimentary wifi and free parking. All guests will have access to the property’s redesigned outdoor garden lounge. This new space will prove an oasis for guests, where they can relax and unwind among lush landscaping and romantically lit trees. Additionally, the property will serve as an ideal retreat for meetings, with multiple meeting venues offering a total of 2,980 square feet. The property also provides full-service amenities, catered meals from the restaurant, as well as access to courtyard and garden areas that can be used for breaks. Mad + Vin, the hotel’s highly anticipated restaurant, is inspired by the local wine region of the California coast. The name of the restaurant, which translates to “food and wine” in Danish, continues to play off of the hotel’s Scandinavian inspiration. Executive Chef Seth Nathan will develop a specialized menu that captures flavors from around the world and incorporates them into foods native to the area. The restaurant will offer dinner seven days a week in addition to daily breakfast. A complimentary breakfast will be included for all hotel guests.